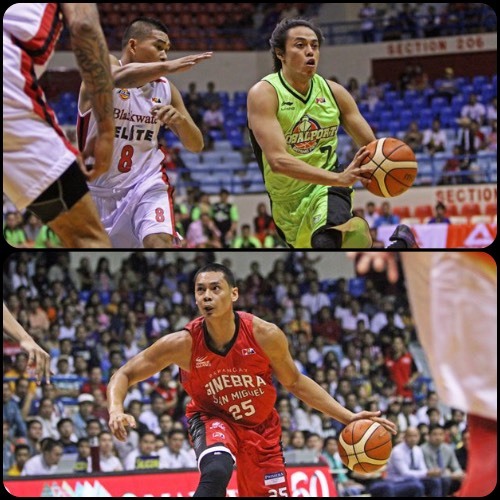 GlobalPort ended their season on a bright note even as Ginebra kept their chances for stealing the top seed alive with a win over Phoenix last Wednesday. The GlobalPort Batang Pier capped off their season with a bang after prevailing over Blackwater Elite in their non-bearing but high-scoring PBA Governors’ Cup encounter, 139-126, on Wednesday at Ynares Center in Antipolo. Joseph Yeo dropped 37 points, 22 of which came in the first half, while also hitting nine out of 16 triples to pace the Batang Pier (4-7) in the clash of two teams already out of contention. Mike Glover tallied 34 points and 18 rebounds in his final Governors’ Cup game for GlobalPort which also got a huge output from Terrence Romeo who finished with 28 points. Keala King top-scored for the Elite with 28 points and 15 rebounds while Sumang and Art Dela Cruz had 22 and 21, respectively. Mike Glover (GLO) - 34pts, 18rebs, 3asts, 2blks, 1stl, 16/21 FGs. Keala King (BLA) - 28pts, 15rebs, 5asts, 1stl. Barangay Ginebra San Miguel stayed in the hunt for the No.1 seed after turning back a rally by the Phoenix Fuel Masters, 96-87, in PBA Governors’ Cup action Wednesday at Ynares Center in Antipolo. The Gin Kings, who won their fourth straight match, improved to 8-2, just a game behind league-leading TNT KaTropa who have a 9-1 card. The two will meet in the final game of the elimination round on Sunday. The result also denied Phoenix, now at 5-6, of an outright quarterfinals seat. Justin Brownlee finished with 28 markers, LA Tenorio scored 15 and Japeth Aguilar tallied 12 points, five rebounds and four assists to lead Ginebra, which saw its 20-point lead erased late in the game. Joe Devance and Sol Mercado also had 12 points apiece, while Scottie Thompson grabbed a whopping 16 rebounds. Eugene Phelps carried Phoenix with 24 points while Simon Enciso and Urbiztondo had 15 and 11, respectively. Justin Brownlee (GIN) - 28pts, 9rebs, 1ast, 2stls, 1blk, 12/18 FGs. Eugene Phelps (PHX) - 24pts, 16rebs, 5asts, 1blk.